Written by: Asher Lowenstein Edited by: Yaping Zhang In May 2014, another proposed bill to address abusive practices of patent assertion entities (PAEs), also known as “patent trolls,” came to an end. Senator Patrick Leahy, a sponsor of the bill, said he hoped “to return to the issue this year” because “[w]e can all agree that patent trolls abuse the current patent system.” In an interview, Senator Leahy blamed the bill’s failure on special interests that do not want to protect people from trolls. There have been extensive legislative efforts to counter abusive patent litigation. According to Intellectual Property Ownership AssociationIntellectual Property Ownership Association, thirteen bills were introduced in Congress between May 2013 and February 2014. Certain PAEs have engaged in particularly obnoxious practices that appear to have motivated some of the legislative efforts. In particular, provisions aimed at “bad-faith demand letters” are directed against practices exemplified by MPHJ Technology. According to the NY Attorney General’s office, in 2012 MPHJ purchased four patents and one patent application for one dollar. MPHJ began sending letters in September 2012 to businesses in all fifty states with fewer than one hundred employees. See Ex. F at 6, MPHJ Tech. Invs., LLC v. FTC, 2014 U.S. Dist. LEXIS 146288, No. 6:14-cv-11 (W.D. Tex. Jan. 13, 2014). Approximately 16,645 businesses received the letter, which stated that the recipient was likely infringing MPHJ patents by using a machine that could send a scan to email. The letters alleged that “many companies” had agreed to pay a fair price, which was usually between $900 and $1,200 per employee. Another round of letters was sent out to 10,265 businesses. Id. at 9. These letters were sent by Farney Daniels, a law firm representing MPHJ. A third round of letters was then sent by Farney Daniels to 4,870 businesses stating that if the recipient did not reply within two weeks, “our client will be forced to file a Complaint against you for patent infringement in Federal District Court where it will pursue all of the remedies and royalties to which it is entitled.” Id. at 10–11. Many details of MPHJ’s tactics have been covered at ArsTechnica. The schemes of MPHJ seem to have provoked some of the congressional activity. Among the states to struggle with MPHJ were Vermont, Senator Leahy’s state, and Nebraska. Congressman Lee Terry of Nebraska subsequently introduced a bill to address fraudulent patent demand letters, later called the Targeting Rogue and Opaque Letters Act, or TROL Act. Furthermore, MPHJ’s actions were mentioned in at least four congressional hearings over patent reform between November 2013 and May 2014. [i] On November 6, 2014, the Federal Trade Commission announced a settlement with MPHJ—the first consumer protection action taken against a PAE. The provisions in the TROL Act are mostly similar to those in the withdrawn Senate bill. Opposition to the bill argued it would not be effective due to the bad faith requirement. Presumably that is why no further action has been taken since the bill’s failure. But the legislative efforts have not stopped. In November 2014, Senator Leahy expressed his commitment to passing legislation in the coming year with “a strong provision to address deceptive demand letters.” During the past year, MPHJ has involved itself in extensive litigation in at least four states, with some success. MPHJ managed to evade regulations in Nebraska, delay prosecution in Vermont, and get away with minor changes in New York. These cases will be discussed below. This activity enables us to assess the efficacy of the proposed bills against legal strategies MPHJ has engaged in. These legal battles confirm some of the concerns about the usefulness of proposed measures. If Congress passes legislation to counter specific actions of some actors, it is likely that the problem will persist, just in a slightly different form. The risk is that Congress’ efforts would turn into a form of legislative whack-a-mole, in which Congress has to continually pass legislation in response to the latest schemes. Rather, Congress should focus on legislation, such as clarifying jurisdictional questions, that would give courts flexibility to deal with new PAE schemes as they emerge. Some Proposed Measures in TROL Act and Problems The TROL Act proposes to treat certain practices in demand letters as consumer protection violations. At the same time, however, under the Act such practices would differ from conventional consumer protection. This equivocation risks creating obstacles to enforcement. a. Bad faith standard The TROL Act makes it unlawful to engage in sending written communications that state the recipient may be infringing the patent if the sender, “in bad faith, seeks compensation for . . . activity of the recipient that the sender knew was authorized.” TROL Act sec. 2 (a)(2)(C). The previous clauses address cases when the sender knows the patent has been found unenforceable, either due to invalidity or for other reasons, or has expired. See id. at sec. 2 (a)(2)(A–B). Clause (C) appears directed at patent holders making overly broad claims against activities they knew were not infringements of the patent. An affirmative defense exists when the sender can show that mistakes were made in good faith or even “that the sender in the usual course of business sends written communications that do not violate the provisions of this Act.” Id. at sec. 2 (b). The requirement of bad faith makes it difficult to show a violation. Even for very broad and dubious claims one could argue to having thought recipient’s activities were a real infringement. MPHJ’s claims seem to fit in this category. According to MPHJ, every machine with scanning capability that can send documents to email infringes its patents, other than those manufactured by companies that already settled matters with MPHJ. These machines are very common, and such litigation would potentially involve nearly every business in the country. This, of course, is why MPHJ was able to randomly send out letters to businesses saying MPHJ believed the business was infringing its patents. Even without knowledge of the details of the patents, this claim seems quite doubtful. Such machines have been in widespread use for a long time. Some of the patents date to 1997. If all such machines really infringed the patents, it hardly seems likely the owner would decide to sell them in 2012 for $1. ArsTechnica points out the improbability of these claims. Notwithstanding MPHJ’s dubious claims, it is still an extended process to determine the validity of the patents. As mentioned in Part c. MPHJ filed four lawsuits in the beginning of 2014, of which two have been closed. The other two defendants, Coca Cola and Unum, challenged the validity of MPHJ’s patents and asked the PTAB to review the claims. The PTAB granted review on four patents, and the investigations have not been concluded for all the patents. MPHJ’s expert witness, as expected, argues that the claims are valid. When an expert witness can be found who will testify to the originality of a patent claim, it is reasonable to assume that there is a least some support for the patent. [ii] Thus in almost any case, the owner of a patent will have little trouble asserting a non-bad faith claim of infringement. The Federal Circuit requires a showing of bad faith before imposing liability on patent holders for damage done to alleged infringers. See Dominant Semiconductors Sdn. Bhd. v. OSRAM GmbH, 524 F.3d 1254, 1260 (Fed. Cir. 2008). Consumer protection, by contrast, focuses on whether the practice was unfair or deceptive rather than on actual damage. See FTC v. Freecom Commc’ns, Inc., 401 F.3d 1192, 1202 (10th Cir. 2005) (“Because the primary purpose of § 5 [granting FTC authority to enforce consumer protection] is to protect the consumer public rather than to punish the wrongdoer, the intent to deceive the consumer is not an element of a § 5 violation.”) The standard that is used to determine liability should not be misconstrued as a method to determine whether a practice is justified. But this confusion is exactly what the proposed Act accomplishes by granting authority over patent demand letters to the FTC as a consumer protection issue while requiring the FTC to meet the bad faith standard. [iii] b. Granting Authority to FTC In order to rein in harmful activity by patent holders, the proposed act classifies certain methods of demanding payment for patent infringement in letters as “unfair or deceptive” practices. TROL Act sec. 2 (a). The FTC is to enforce the proposed act, id. sec. 3 (a), in accordance with its mandate to enforce unfair or deceptive practices under 15 U.S.C. § 45. The apparent intention is to characterize sending letters for patent infringement with deceptive claims as a consumer protection issue rather than as a patent case. The question of how to characterize such activity is significant. Any time a patent holder makes a patent infringement claim, the sustainability of the claim will depend on the validity of the patent. Efforts to restrain abusive behavior could fail if the patent holder argues the activity must be treated under the patent regime. This argument was in fact raised by MPHJ in its struggles with several states. In May 2013, Vermont filed charges against MPHJ in state court. MPHJ had the case removed to federal court because it involved enforcement of patents. Vermont argued the case should be remanded to state court because it involved violation of state consumer laws. Memo in Support of Motion to Remand at 4, Vermont v. MPHJ Tech. Invs., 2014 U.S. Dist. LEXIS 52132, No. 2:13-cv-170, (D. Vt. July 8, 2013). In April 2014 the Vermont District Court granted the motion to remand, agreeing that it was a consumer protection question. Id. (D. Vt. Apr. 15, 2014). MPHJ appealed at the Federal Circuit with two cases: in one arguing that the district court had abused its discretion in inter alia not awarding sanctions against the state for bringing a frivolous lawsuit; in the second asking the court, if no appeal would be granted, to issue a writ of mandamus overruling the district court. Vermont v. MPHJ Tech. Invs., 763 F.3d 1350 (Fed Cir. 2014). The state, however, argued that as a consumer protection issue any appeal should be made at Second Circuit. See Appellee’s Motion to Dismiss at 20, Vermont v. MPHJ Tech. Invs., No. 2014-1481, (Fed. Cir. June 13, 2014). The court granted the state’s motion to dismiss in August 2014. Vermont v. MPHJ, 763 F.3d at 1354. In other cases, MPHJ was more successful in using jurisdictional issues to its advantage. In July 2013, Nebraska’s Attorney General attempted to stop a patent holder that was using tactics similar to MPHJ’s and represented by the same law firm that MPHJ retained. MPHJ later intervened in the case. The Nebraska District Court found that federal patent law preempted the state’s consumer protection statutes, and the state had violated the First Amendment rights of the patent holders. Activision TV, Inc. v. Pinnacle Bancorp, Inc., 976 F.Supp.2d 1157 (D. Neb. 2013). When Nebraska appealed at the Eighth Circuit, MPHJ’s motion to transfer to the Federal Circuit was successful. Judgment, Activision TV, Inc. v. Pinnacle Bancorp, Inc., No. 14-2137, (8th Cir. Aug 13, 2014). Similar arguments were raised in April 2013 when a recipient of MPHJ’s letters sued for inter alia harassment. The plaintiffs cited Fifth Circuit precedent favorable to its position that the court had personal jurisdiction. See Plaintiff’s Memo to Continue Submission at 8, Eng’g & Inspection Servs., LLC v. IntPar, LLC, 2013 U.S. Dist. LEXIS 146489, No. 13-081, (E.D. La. Aug. 13, 2013). The Eastern District of Louisiana found that Federal Circuit law governed because “the patent infringement issue will be a significant factor in determining . . . non-patent claims.” Eng’g & Inspection Servs., LLC v. IntPar, LLC, 2013 U.S. Dist. LEXIS 146489 *1, *3 (E.D. La. Oct. 10, 2013). Accordingly, the court followed the Federal Circuit in finding no personal jurisdiction. Id. at *3–*5. These cases indicate that disputes over practices associated with patent claims can often be treated either as consumer protection or patent infringement issues. This uncertainty can impede action to stop abusive behavior. From this perspective, it is worthwhile for Congress to characterize the behavior in a manner that would allow the FTC to prevent abusive practices. However, the proposed language would do little to solve the problem. The FTC already has the authority to address these issues, and it would be ineffective because the characterization is not fully clarified. In addition, it would prevent state action. And the Act could actually make it more difficult for the FTC to enforce such acts, as explained in Part a. Under 15 U.S.C. § 45(a) (2012), the FTC is empowered to take actions preventing “unfair or deceptive acts or practices in commerce.” The FTC has wide discretion in determining what is considered unfair or deceptive practices. “The proscriptions . . . are flexible . . . giv[ing] the Commission an influential role in interpreting [unfair or deceptive acts] and in applying [them] to the facts of particular cases arising out of unprecedented situations.” See F.T.C. v. Colgate-Palmolive Co., 380 U.S. 374, 384–85 (1965) hosted by justia.com. The FTC has expertise in determining what is unfair or deceptive as “an administrative agency which deals continually with cases in the area . . . [and] is often in a better position than are courts to determine when a practice is ‘deceptive’ within the meaning of the act.” Id. at 385. It is well within the FTC’s existing authority and expertise to detect deceptive behavior and take steps to stop it. The FTC withstood MPHJ’s challenge to its authority. After conducting an investigation into MPHJ’s practices, the FTC prepared a draft complaint to file in federal court if an agreement was not reached. Having seen the draft complaint, MPHJ sued to enjoin FTC from taking action that could violate its First Amendment rights. MPHJ also argued that, because its letters did not offer a good for sale, the recipients were not consumers and FTC did not have authority to regulate its activities. Compl. ¶¶ 144–48, MPHJ Tech. Invs., LLC v. FTC, 2014 U.S. Dist. LEXIS 146288, No. 6:14-cv-11, (W.D. Tex. Jan. 13, 2014). Further, MPHJ reasoned that because Congress was considering granting authority in the various proposed acts, the FTC does not currently have that authority. Id. at ¶ 160. But the court did not accept these arguments. The Western District of Texas granted the FTC’s motion to dismiss because the claim was not ripe and would improperly intervene in the agency process. See MPHJ Tech. Invs., LLC v. FTC, 2014 LEXIS 146288 *1, *10. (W.D. Tex. Sept. 16, 2014). If the FTC were to determine that certain statements in letters from patent holders were deceptive, it is likely that courts would defer to that determination. And on November 6, 2014, the FTC announced a settlement with MPHJ—accomplished under current FTC authority. Although the proposed Act characterizes certain practices as unfair and therefore under consumer protection laws, there could still be obstacles to enforcement. Even after accepting an FTC determination, courts might find that the FTC’s allegations are closely tied to the validity of patent claims. Patent holders could then be allowed to continue their practices until the Patent Trial and Appeals Board (PTAB) rules that the patents are invalid. 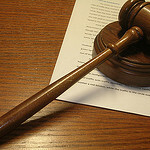 The FTC is not in the business of prosecuting patent claims, and may not be able to properly enforce in this scenario. The proposed Act does nothing to ensure that the FTC is able to enforce. The proposed Act also preempts state laws. TROL Act sec. 4 (a)(1), requires state action to be brought in federal court, id. sec. 4 (b)(1), and limits state action while FTC action is pending, id. sec. 4 (b)(3)(B). But if these practices are to be treated as a consumer protection issue, states should be able to enforce their laws as they do in other consumer protection contexts. As MPHJ’s activities demonstrate, it is fairly easy to come up with some claim that could affect many people. The FTC, which would be more likely to conduct a more extensive, national investigation, may not have the ability to act as quickly as states would. This could allow deceptive practices to go on longer than necessary. Indeed, New York and Minnesota brought successful consumer protection cases against MPHJ and managed to stop what they felt were the most egregious practices. c. Prior infringement defendants The TROL Act makes it unlawful to engage in sending written communications that state the recipient may be infringing the patent if the sender, “in bad faith, states or represents . . . [that] a civil action asserting a claim of infringement of the patent has been filed against other persons.” Sec. 2 (a)(1)(C). This provision is presumably intended to prevent a company from sending out letters with threats of prosecution when the validity of the asserted patent is not clear. When the sender mentions that other people have already been sued for infringement, the perception is created that the infringement claims are well founded. The ability to show good faith limits the statute to those cases in which the sender knows it is false. However, a company that wants to send out threatening letters, knowing that it has a weak claim, would find it fairly easy to satisfy the good faith requirement of the statute. All that would be required is for the sender to actually bring a few lawsuits before sending out letters to a large number of recipients. As MPHJ has demonstrated, this is not very difficult when a patent holder is asserting a broad claim. In early 2014, MPHJ, without having more than publicly available information, sued four companies in the United States District Court for the District of Delaware for infringing its patents. MPHJ found promotional material from Lexmark online that described what Lexmark had done for Coca Cola and Unum with its machines that had scanning capabilities. See Ex. B1, MPHJ Tech. Invs. LLC v. Coca-Cola Co., No. 1:14-cv-03, (D. Del. Jan. 3, 2014); Ex. B1 MPHJ Tech. Invs. LLC v. Unum Group, No. 1:14-cv-06, (D. Del. Jan. 3, 2014). Likewise, Xerox had materials online that referred to services it provided to Dillard’s and Huhtamaki Americas. See Ex. B1, MPHJ Tech. Invs. LLC v. Dillard’s Inc., No. 1:14-cv-04, (D. Del. Jan. 3, 2014); Ex. B1 MPHJ Tech. Invs. LLC v. Huhtamaki Americas, Inc., No. 1:14-cv-05, (D. Del. Jan. 3, 2014). Other evidence came from LinkedIn profiles of Huhtamaki employees that listed their experience at the company working with machines MPHJ believed infringed its patents. See Exs. B7–B10, id. The two cases involving Lexmark machines are stayed as of this writing pending an appeal at PTAB, and the cases involving Xerox machines were closed voluntarily. These cases demonstrate the ease of showing good faith in claiming previous litigation for infringement. All a company needs to do is to file a few claims with easily attainable information and then settle with the defendant for a token sum. The broader the claim is the more information would be available to bring as evidence. Many defendants would prefer settling for a few dollars over incurring legal costs of going to trial. Then the sender would be able to honestly assert that claims of infringement had been filed against other parties. Again, the proposed Act would make enforcement more difficult. The FTC was able to reach a settlement with MPHJ because it was clear that the MPHJ lawsuits had been pretexts to support the letters they were sending. See Ex. F at 7, n.7, MPHJ Tech. Invs., LLC v. FTC, 2014 U.S. Dist. LEXIS 146288, No. 6:14-cv-11, (W.D. Tex. Jan. 13, 2014). But a bad faith requirement could be interpreted by courts as requiring a stronger showing of deceptive intent. Conclusion The proposed Act attempts to protect consumers from trolling behavior by requiring patents holders to substantiate their claims. At the same time, the Act seeks to protect the right of patents holders to assert their patents by allowing them to continue making non-bad faith claims. The result would be a regime in which it is more difficult to stop such behavior because regulators would have to show bad faith and state action would be partly preempted. Rather than trying to balance the line between patent rights and consumer protection, Congress should simply acknowledge that what is unfair and deceptive in other contexts is also unfair and deceptive in the patent context. Perhaps the most effective step would be for Congress to clarify what cases are appealed to the Federal Circuit. Under 28 U.S.C. § 1295(a)(1), the Federal Circuit has exclusive jurisdiction over appeals arising under patent law. But there is no reason for abusive behavior to be treated differently simply because it relates to a patent. Congress should clarify that when a patent holder’s behavior does not arise under patent law, it is not under the Federal Circuit’s exclusive jurisdiction. This would help give regulators and courts more flexibility in countering the ever evolving practices of unruly patent holders. [i] Demand Letters and Consumer Protection, Examining Deceptive Practices By Patent Assertion Entities: Hearing before the Subcomm. on Consumer Protection, Product Safety, and Insurance of the Committee on Commerce, Science, and Transportation, 113th Congress, 5–10 (2014) (statement of Jon Bruning, Atty. Gen. of Neb. ), 17–18 (statement of Mark Chandler, General Counsel, Cisco Systems), 24–5 (statement of Julie P. Samuels, Senior Staff Atty., Electronic Frontier Found. ); Protecting Small Businesses and Promoting Innovation by Limiting Patent Troll Abuse: Hearing before the S. Comm. on the Judiciary (Dec. 17, 2013) (statement of Todd Dickinson, Director of Am. IP Law Assoc. ); Trolling for a Solution, Ending Abusive Patent Demand Letters: Hearing before Subcomm. on Commerce, Manufacturing, and Trade of the H. Comm. on Energy and Comm. (April 8, 2014) (statements of Mark Chandler, General Counsel, Cisco Systems and William Sorrell, Atty. Gen. of Vt.); H.R. ___, a Bill to Enhance Federal and State Enforcement of Fraudulent Patent Demand Letters: Hearing before Subcomm. on Commerce, Manufacturing, and Trade of the H. Comm. on Energy and Comm. (May 22, 2014) (statements of Jared Polis, Congressman from Col. and Lois Greisman, Assoc. Dir., Bureau of Consumer Protection, FTC). [ii] On November 19, 2014, the PTAB issued its final decision for two of the patent proceedings. In Hewlett-Packard Co. v. MPHJ Tech. Invs., No. IPR2013-00309 (2014), and Hewlett-Packard Co. v. MPHJ Tech. Invs., IPR2013-00302 (2014), the PTAB found that all but one of MPHJ’s claims in each of the patents were unpatentable. While it remains to be seen whether MPHJ still has an infringement case, this development further demonstrates that even seemingly frivolous assertions could turn out to have some legal basis. [iii] The Committee appears to have confused these standards. As reported in law360, Congressman Terry argued that the bad faith standard came “from case law interpreting the FTC's ability to hold the officer of a company liable for restitution on account of such company's unfair or deceptive acts or practices.” In fact, to assess consumer protection liability “a court need not find that defendants intended to deceive consumers.” See FTC v. E.M.A. Nationwide, Inc., 767 F.3d 611, 631 (6th Cir. 2014).